I know nothing about music theory, but I have been playing the guitar for over 5 years and have been only working with tabs. I want to learn music theory from scratch, fundamentally and meticulously. Then I want to move on to orchestration and composition. I really want to gain a very in-depth understanding of music theory. I want to be a complete autodidact in learning music theory, composition, and orchestration. However, my ultimate goal is to become a composer and possibly apply for a Bachelor's/Master's of music at a university. Few of my favorite composers include; Frank Zappa, Iannis Xenakis, John Cage, La Monte Young, Krzysztof Penderecki, Anton Webern, Terry Riley, Arnold Schoenberg, etc. Are there any books out there that can be particularly helpful in my case, teaching me everything from scratch and build it up towards the advanced and complex concepts? Any book recommendation and/or guidelines on how to kickstart the process of learning music theory fundamentally will be highly appreciated. I've worked extensively with both the Laitz and Clendinning/Marvin textbooks, and I can enthusiastically recommend both. They both approach music from a more linear perspective (as opposed to the strictly vertical "let's slice up the music and find chords wherever we can" approach in the Kostka/Payne/Almén book, which I do not recommend), and they both do a nice job of integrating topics like form and counterpoint. The Laitz book is a terrific resource, but it's also just big. Really, really, really big, and really wordy. It can be tough to start on page 1 and read through it beginning to end. On the other hand, once you know the topics, you'll be amazed how much detail his book can add to your knowledge. If there was a music theory encyclopedia, this would be it. Everyone on this site could read one of his chapters and learn three new things from them, but that can be overwhelming for beginners. The Clendinning/Marvin isn't quite so wordy, so it's much easier for a self-learner to work through. The repertoire it uses is also much more varied; you'll find plenty more pop music, etc. in their book than you will in Laitz's. You can't go wrong with either one. Laitz and Marvin both received their PhDs in Music Theory from Eastman and have taught there for decades (though Laitz is now at Juilliard). They're titans in the field of music theory. If you do end up pursuing a career in music, I hope some day you will own both. Whatever you do, buy an older edition. Don't be duped into dropping $100+ on the newest edition when you can snag last year's edition for $15 on eBay. The differences between versions aren't that big. I just recommend staying away from the first editions just to steer clear of the silly errors that inevitably happen the first time around. The Laitz is currently in the 4th edition; see if you can find a cheap 3rd edition. Clendinning/Marvin just published their 3rd edition; see if you can find a cheap 2nd edition. I don't have any experience with the "Music Theory for Dummies" book, sorry. Lastly, your favorite composers are all twentieth-century folks; that's great! Once you have the basics of music theory down, you may want to check out Joseph Straus's "Introduction to Post-Tonal Theory" and/or Miguel Roig-Francolí's "Understanding Post-Tonal Music." The former will clearly lay out the basics, but the latter will extend the techniques to much more of the twentieth-century repertoire, including Xenakis and Penderecki! I have been playing guitar for more than 10 years, and the only book I ever needed was this one, which I was recommended by many people on the Ultimate-Guitar.com forum. You can read the first few chapters for free on the Amazon website. It's not just for playing jazz, but covers all the theory you need to know such as intervals, chord construction, chord progressions, circle of fifths, scales, modes, improvisation, etc. Your use of the word 'meticulous' reminded me of my first theory teacher relating this stern instruction in best school marm fashion: You may break any of these hallowed rules of musical composition only after you are totally familiar with all of them, because by then you will know enough to strictly contain yourself until you thoroughly understand WHY these rules exists. Her treasure was THE classic tiny textbook by Horwood. First ports of call ought to be the examination boards, ABRSM, Trinity, LCM and RSL spring to mind. Their syllabi contain most that you'll need to know and learn. ABRSM goes down the rather classical route, while LCM takes a more modern approach, and maybe puts things in that are not relevant to your needs.You don't need to take the exams, but I recommend taking at least grade V. To get into uni., you'll need at least grade VII in practical playing of an instrument, too.All this assumes you are from U.K. Different parts of the world also use some of these boards, and other parts will have their own exam systems, thus syllabi. You could do a lot worse than check out q&a from this hallowed site, too!! I cannot comment on the books you mention, as I have not used them, but I do have some recommendations that might be useful. There is a series of books (published by Schott) and written by Paul Hindemith which would seem to fit the bill. They are incredibly thorough and do start from the very beginnings. The first is Elementary Training for Musicians, which starts at a very elementary level with music notation, and goes very thoroughly through all the details of music notation you are ever likely to need, as well as having masses of exercises on rhythms. There are other books by him which I have not yet read, but I would expect them to just as thorough as the three I have mentioned. As you look for the very beginning basics, I would encourage you to pick up the simple Keys to Music Rudiments book which, when I began teaching, was the go to and I still use for absolute beginners, including adults. It does not presume you have any background to fall back on and there are six accompanying workbooks. When you are through these, which could take as little as a few weeks of intensive study, you will have acquired thorough basics and be ready to study harmony. The 'Keys to Music Rudiments' book covers 3 levels: preliminary, grade one, and grade two, written by Berlin, Sclater, and Sinclair. It was the rock for the royal conservarory of music in toronto for many years. Start with the "Dummies" book. It's basic, but you NEED the basics. Also obtain sample Music Theory test papers from the ABRSM, and the associated textbooks. When you're absolutely confident you could sail through the Grade 5 test (Grade 8 would be better) you'll know the language, and can think about some more "modern" approaches. As someone who has had piano lessons with a private teacher since I was very young, I might be a little biased, but I am convinced that learning to play the piano is imperative if you want to go to college for this. I'm in the process of figuring out college myself, and everything is new for me, too, but if there's one thing I've seen is that you need to be able to play a little bit at least and show them a good knowledge of music theory. However, I've heard that it's harder for guitarists to switch to piano than the other way around, so I don't know how difficult that might be for you. But definitely learning to play piano will throw you right into the theory pool because the first things you learn are the basics of reading music and how notes work together. Professional teachers tend to be expensive, but look around for some newer teachers who are teaching on the side--they won't help as much when you get a little more complex, but they're great if you just want to learn the basics with little pressure to be 'perfect' or anything. As some other people on here have been saying, the internet is a GREAT resource for basic music theory, and I've found a great website called www.artofcomposing.com that has free video courses on the theory and musical understanding needed to compose music. Hope that helps! 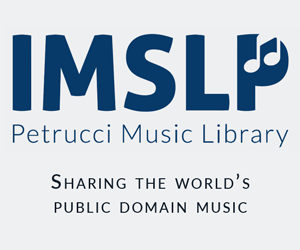 No one has mentioned http://www.musictheory.net/ yet. I use it with my students and love the exercises for reinforcing theory skills. There are some great exercises that are applied to the guitar fretboard, which would be great for you. And it's completely free unless you want to buy their iOS app, which is pretty slick. If you are serious about continuing on to a university you will want to also study ear training (aural skills) and keyboard skills and also be open to learning music history. These classes are part of the core curriculum for any music degree. For ear training I used a packet written by the professor, but we also used a green book called Music For Sight-reading by Robert Ottman. Keyboard skills was usually taught by grad students who also just used packets they wrote. For music history I used a few different versions of the Grout and Palisca History of Western Music books, but I think those may be out of print now. Not the answer you're looking for? Browse other questions tagged theory composition books orchestration atonal or ask your own question. Can learning music theory from “Music Theory for Guitarists Volume 1” by Bruce Arnold teach me enough to start composing?